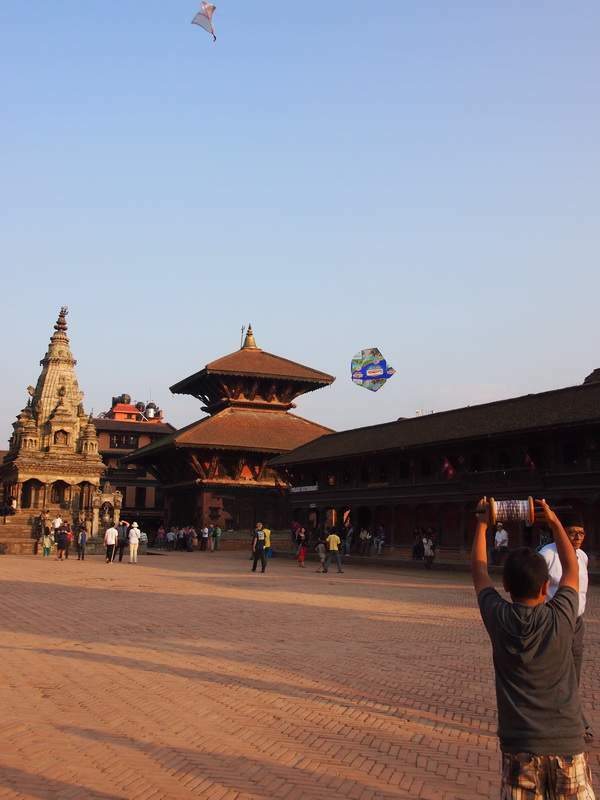 Bhaktapur was once the capital of Nepal during the great Malla Kingdom until the second half of the 15th century. Nowadays it is another Nepalese UNESCO world heritage site due of its rich culture, temples, wood, metal and stone artwork. 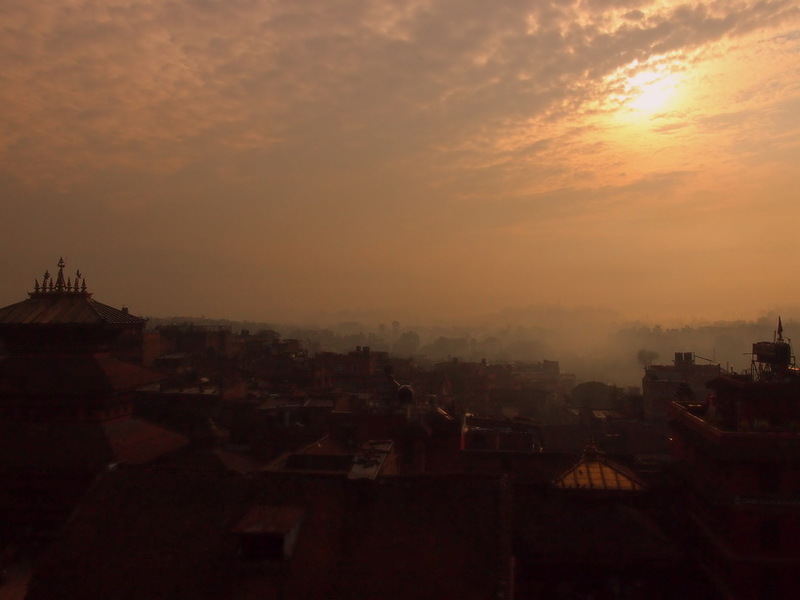 Often described as how Katmandu looked prior to the arrival of the modern world with the free from all expansion that has overwhelmed the city.This is probably because well over half the population is from the agricultural Jyapu caste of Newars and their tightly knit inward looking nature. A timeless burnt peach hue of bricks is offset by the deep brown intensely carved wood- essential materials of the Newari architects.The cobblestone streets link a string of temples, courtyards and monumental squares with the side streets peppered with shrines, wells and water tanks. Looking identical to how medieval towns are portrayed in media such as television and films i had to pinch myself to check that i was not an extra in some American blockbuster. I was expecting to be visiting another pretty town however Bhaktapur totally blew my mind away, i felt like i was in another world. Eating breakfast from our hotel roof terrace the soft dusty light of morning the old city with its pagoda roofs and its harmonious blend of wood,mud brick and copper look extraordinary beautiful. There is a rich atmosphere of centuries-old traditions in craftsmanship and strong communities of potters, woodcarvers and weavers. 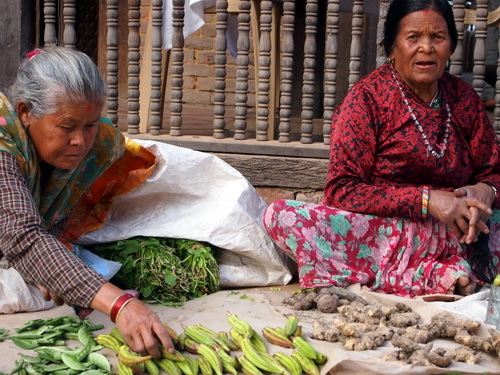 Peasants squat by the road selling a mirage of vegetables , worshipers assiduously attend to neighborhood shrines and tourist mill about enthusiastically in the main squares and maze of back streets. You can not deny it there is plenty to see and do even if some prices are completely hiked up. All westerners are charged to enter the city and you must carry your ticket around like it is your passport. Ticket inspections frequently do happen which we encountered . However this is a small price to pay for a place that is so amazing. Potters knead clay by hand and there are a few still form their vessels on hand powered wheels.The finished creations are set out in solidly rows to dry in the sun before firing. Previously the potters used to crank out goods such as simple water vessels and stove pipes. But as so often seen there are cheaper plastic alternatives that can be imported in so a lot of potters now focus on tourist goods instead. This is reported to be the tallest pagoda-style temples in Kathmandu Valley at 30m high and is famous for its massive structure and subtle workmanship. Uniquely the temple is named not for its deity but for its architectural dimensions, in Newari nyata means five stepped and pola means roof. The reason for this exception stems from the fact that the deity was so obscure — a tantric goddess named siddhi lakshmi that she apparently had no devotees and the sanctuary has been barred to all but priests ever since its completion in 1702. There are 5 pairs of famous temple guardians – mella era wreastlers, elephants, lions, griffons and two minor goddesses . One pair on each of the five tiers, with each pair being considered ten times stronger than the ones immediately below. While the lowest pair, the two strong men Jaya Malla and Phatta Malla, were reputedly ten times stronger than any other men. 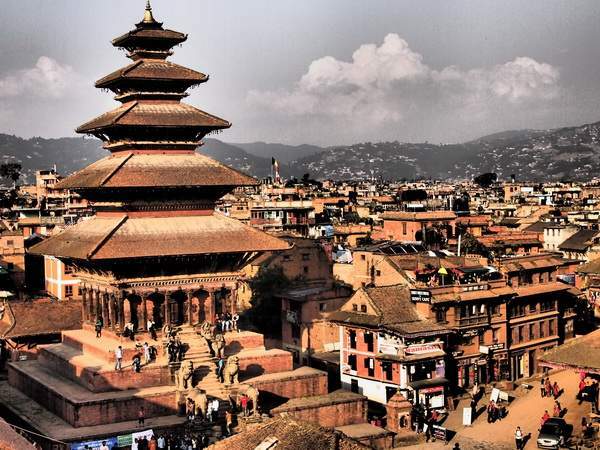 Durbar Square is a show piece of regal monuments rather then living holy site.A golden gate palace of 55 windows a conglomeration of pagoda and shikhara-style temples grouped around a 55-window palace of brick and wood. The square is one of the most charming architectural showpieces of the valley as it highlights the ancient arts of Nepal.